Horse Stories is the section of the HHT website devoted to the histories of our beloved friends and teachers: our horses. they are a very mixed lot, with different breeds, ages and temperaments. They are all united by one fact however, they are all horses who are into self-advancement! We believe that horses, like people, really do choose their experiences in life at a profound level of their consciousness. There are certainly horses, just like people, who prefer to stay within their self-imposed limitations, even if that means suffering. This is partly why there is no point in feeling bad about all the suffering we know exists in the world. The other reason, of course, is that feeling bad doesn't improve any situation. Only positive action in our own lives can improve the world, and that means acting when the opportunity reveals itself. This is why we have never refused to take on a horse (as long as we had the space! ), and these stories describe some wonderful transformations we wouldn't have believed possible at the outset. We believe that when people or horses are ready to move onwards and upwards, then all the opportunities they need will come to them. We do have a different set of criteria than most people when it comes to taking on a horse, in general we will take on any horse needing a home! This is both why we have so many, and why we feel we understand quite a lot about bringing the best out of any horse. They may be rescue horses or abused horses, or just impossible to train; they may be the victim of some kind of horse disease, or conformational fault which has made it difficult for them to function according to standard expectations, but they are all loved. 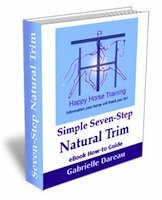 This is a crucial aspect to their healing, and it is not necessarily easy to love every horse. Often the biggest change has to take place in oneself. Is there really such a thing as a crazy horse, or a nightmare horse? We hear horses referred to in this way often enough. Maybe these horses have been misunderstood time after time in their lives and what started out as a physical difficulty led to behavioral problems and ultimately a hopeless confusion of both. 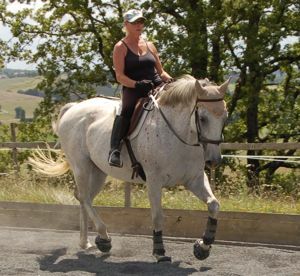 What makes a horse feel like a 'riding school horse' and can this condition be overcome? What Makes a Stiff Horse Stiff? Is a stubborn horse really stubborn, or could it be a kind of fear-induced paralysis? Our horse stories are real life journeys which answer these questions over many years as the truths gradually unfold. What creates a stressed horse? 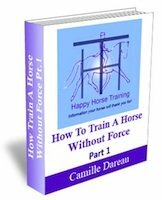 How much influence is possible with a dominant horse and how much damage is done to a neglected horse? Our horse's stories disclose valuable information about recovery from navicular syndrome, and how Dummy Foal Syndrome really affects the life of the adult horse. What about conformational defects - is there any point in even starting to try to train a crooked horse? 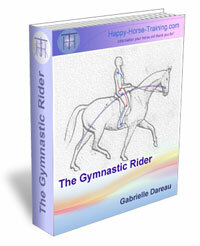 Horse Stories follow the progress of such horses... also exploring the complications which arise with a post-legged horse and a horse with an under-active thyroid. These stories are the chronicles of the different issues and problems we have come up against when rehabilitating and retraining our horses. 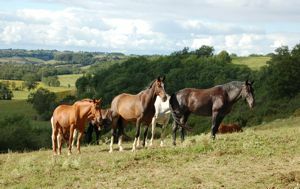 If we have learned one thing, it is that all horses are individuals, and that even if they have a certain symptom in common - such as a lazy horse or an aggressive horse, the sources to their problems are a unique pattern combining many different aspects of physical and psychological limitations. 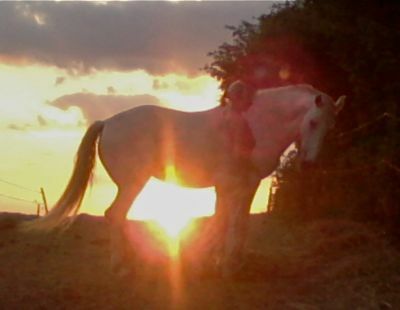 It is only by steadily and patiently addressing and resolving each of these aspects as they present themselves, that a horse can be truly healed. Our horse stories show how inspiring and fulfilling this process is, as long as the motivation is love for the horse, and not how many competitions it is possible to win or how much your horse is worth. After all, someone will always win at every competition, but you and your horse are unique and your opportunity to transform your relationship is unique. 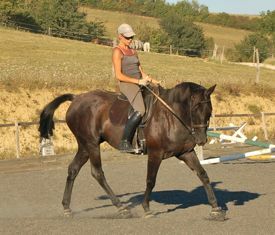 We will gradually add the different stories of our horses to these sections. Share Your Own Horse Story Here!